I re-read this one and it more than lives up to my memories of its singular quality. Even knowing what’s coming, at least the major points both from history and my first read, did nothing to lessen my investment in the story; I adored every page. Gregory is a master of beautiful, dramatic depictions of history bursting with the haunting sense of the inevitable. She makes me invest in all of her characters (even the despicable ones), because she makes me understand them. Though a part of me keeps wishing all these tortured souls will just, hey, go to therapy, make better choices, and live happy lives, the history becomes a character as well, a constant and inescapable reminder that in this time people had fewer choices. (Therapy wasn’t usually one of them.) So instead I find myself on a kind of empathy overload, utterly gripped by the tragedy of their circumstances. 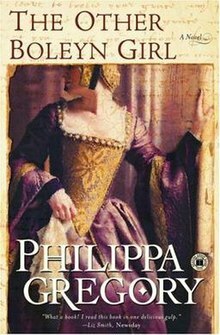 THE OTHER BOLEYN GIRL is told from the perspective of Mary Boleyn, Anne Boleyn’s sister, who was Henry VIII’s mistress before he divorced his first wife and married Anne. Gregory’s work always makes me feel, intensely. I know I’m reading a good story when I have strong emotional reactions where I have to look around me and remind myself that, in real life, nothing’s happening besides me on the couch with a book and a cup of tea. With THE OTHER BOLEYN GIRL (and all of Gregory’s books), I become infuriated at betrayals, my breath catches at true romance amid all the forced marriages, a deep sadness sets in at characters resigning themselves to unhappy fates, and a contented warmth uplifts me when someone I consider deserving finally gets something they want. Gregory’s writing is beautiful, of the invisible variety, meaning it’s so skillfully written that every word feels natural and I forget to think about the writing and only think about the story and the characters. Mary’s voice is so compelling and believable. I have read historical fiction by other authors that leaves me unconvinced about the character they have created: I don't buy that the fictional interpretation of that historical figure would really do what we know from history the real life person did do. Gregory is a master at forming characters with such clear motivations that for a moment I think she must have stumbled onto some diary none of the rest of us know about and discovered the actual mindset of the real person. Among all her other strengths, Gregory is an expert with her pacing, especially impressive to me in this genre. Sometimes the timeline slows down to focus on one period intensely when a lot happened and other times the timeline speeds up and skips over a good chunk when not much interesting took place, but Gregory makes everything feel current and urgent. Anne may have been seducing Henry for years, but I feel as though I experienced every agonized second of wondering if she overestimated and overextended herself. 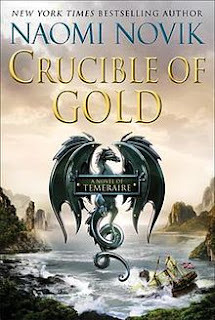 I re-read this entire trilogy and found, unexpectedly, that the first two books exceeded my memory of them. However, this third one, in contrast, didn’t quite live up to my memory. The flaws are more vague than specific and are probably best described as a lack of polish. I think the heart of the story, the core characters, and so forth are all good and enjoyable, but a lot of the specifics fell short. As one example, I often struggled understanding motivations of villains and heroines alike. As a character-centric reader, the plot loses much of my investment if I cannot understand the character motivation behind why events are unfolding as they are. To back up, let me describe the premise of this final installment (spoilers for earlier books included). At the end of book two, Cahil, devastated upon learning he is not the lost prince he believed himself to be, frees and flees with Ferde, the vicious Soulstealer who has already taken the lives of many innocents in a particularly cruel and slow manner. 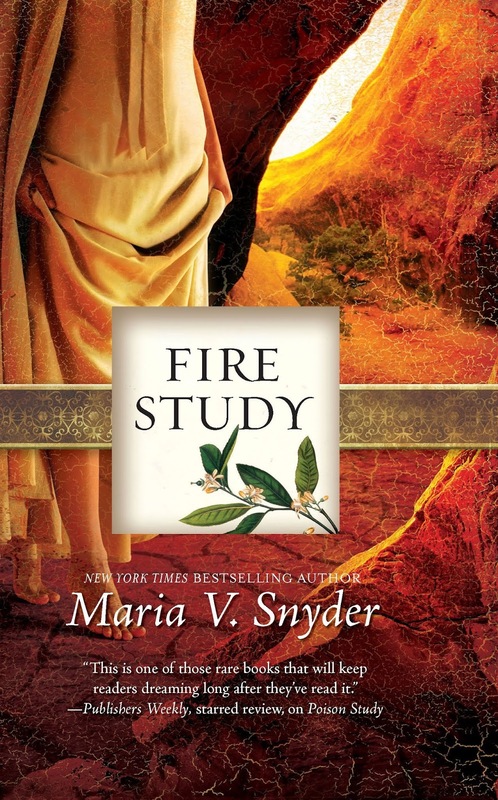 FIRE STUDY concludes the plot-driven, fast paced STUDY trilogy. Above all, I will remember Yelena as someone who never makes the easy choice. I last read this book back in sixth grade and remember my mind boggling at everything Charlotte experiences. I consider this one of my formative feminist reads as I remember having thoughts like, “A girl can do that? A girl can have adventures like that?” To my sixth grade brain, this was a boy adventure book featuring a girl, and that was both revolutionary and worthy of my complete adoration. I’m pleased to say that the book holds up on a re-read in later life, though my enthusiasm is mildly tampered only by having much more life experience now. This may have been one of my first feminist reads after all, but it was certainly not the last. 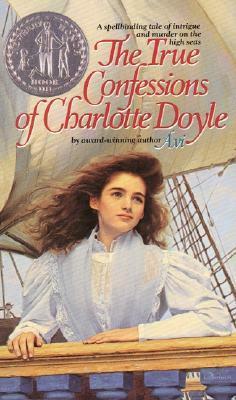 Set in 1832, the story follows thirteen-year-old Charlotte, sent to meet her parents across the Atlantic Ocean via ship. It was expected she would have companions her own age and station, but due to unforeseen circumstances she winds up travelling alone. Luckily, the charming captain promptly befriends her and promises to look out not only for her safety but also her comfort during this rigorous journey. So you can imagine Charlotte’s confusion when one of the crew starts warning her against the captain and then her further alarm at hearing whispers about mutiny. The book is much shorter than I remember, but then again I did read it when I was younger. Then and now, it amazes me how much is packed into such a small book. 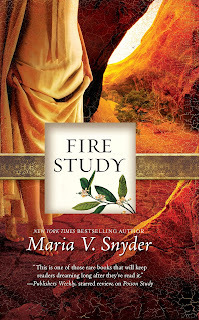 At times, the older me did want more development, of the characters, the relationships, but I also recognize the book is probably perfect as is for the middle reader target audience. I’m a bit nervous about re-reading old favorites, concerned I might actually dislike books I adored and considered formative. THE TRUE CONFESSIONS OF CHARLOTTE DOYLE holds up as worthy of the high place it held in my memory for so long.